In uncertain and dangerous times, we can and should contribute to global stability through those things we are good at. Amongst the many strengths of Australian society, I know from my own experience that the resilience of our farmers and rural communities, and the scientists who have aided them and others in the food and fibre supply chain, through high quality research, feature strongly as durable Australian assets. As a result, agricultural productivity has been sustained in recent decades in spite of adverse weather and variable climatic conditions. Agriculture is a major component of our economic success and exports. 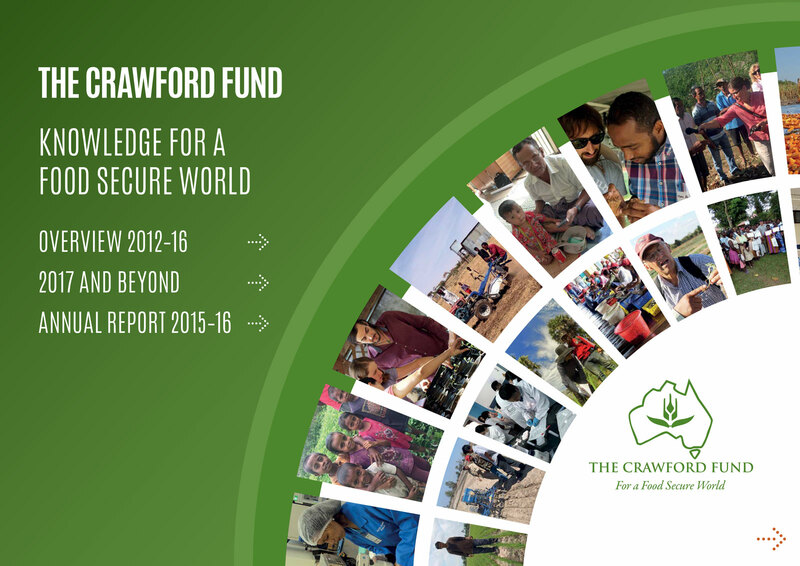 The Crawford Fund has over three decades sought to draw on these assets toward a food secure world which in turn will bolster peace and stability. In this annual report and review, we illustrate some of the work of the Fund, as a relatively small not for profit charity, that has engaged Australians in the international agricultural research scene through enhancing public awareness of the benefits to the developing countries and to Australia of investment in international agricultural research, by building research capacity in the developing world and encouraging young Australians to become involved. The heavy lifting in the broader task of global food security is through research partnerships borne by the Australian Government’s official agency, the Australian Centre for International Agricultural Research (ACIAR), now recognised as delivering best practice in agricultural research partnerships. The Crawford Fund, as a non government organisation, is proud to have worked in partnership with ACIAR projects as well as independently with Australia’s Federal, State and Territory research agencies in related public awareness and training activities. As you will read in this review, our success is due to the willingness of Australians, young and old, to contribute their time, freely to our endeavours. We thank them for their passion and interest. I hope you enjoy this annual report and review.